As an example for us to follow, the Holy Family can seem a little too perfect: when we consider the more dramatic events of the Christmas and Easter story, it can seem so far removed from us. And yet, as todays Gospel reminds us there were also the so-called hidden years - the many years of family life in Nazareth, spent in ordinary things. During that time, we hear how Jesus grew and matured, and in the glimpse of that family life we see our example. Our celebration of this feast announces that there is a lasting value in the ideals of family life, and the relationship between husband, wife, parents and children. Whatever the changing details of each age, honour, understanding and love always remain the recipe for the perfect, and holy, human family. It is love that we put on over all the other clothes of changing cultures and places, to guarantee the life of the family in imitation of the Holy Family of Jesus, Mary and Joseph. First <?xml:namespace prefix = st1 />Reading Ecclesiasticus 3:2-6.12-14. Here we have examples of just behaviour - the behaviour that makes a family work. 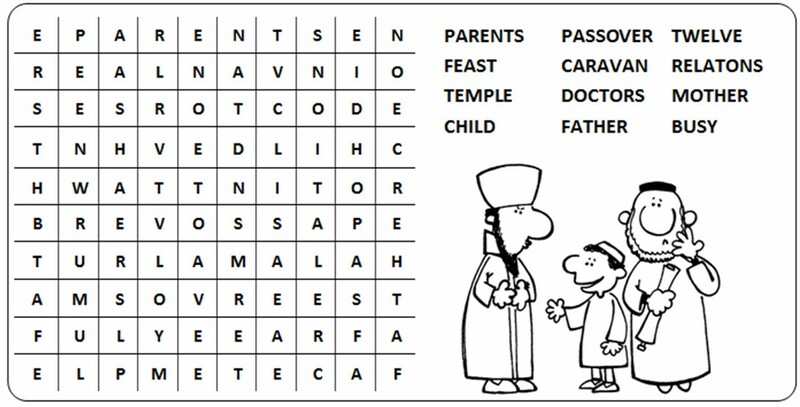 If you look at the reading, you see that at least for the first half, the words father or mother appear on almost every line. So here we think about the relationship between children and parents. Throughout this reading, take care to emphasise the things that children should do, and separate this slightly from the blessing that is associated with it. So line 3 could be read thus: Whoever respects his father ... is atoning for his sins. and the same for the other elements of the list. Remember it is a list, and with any list of virtues or things, you need to give the congregation time to assimilate the items on the list. So take your time with this reading, being sure to emphasise the actions that bring blessings. It might be worth a slight change of tone for the last section, addressed directly to the son. A greater gentleness, tinged with understanding of the difficulty of the task, will engage the attention of the listener. (Optional Year C) First Reading: Samuel 1:20-22;24-28. We mirror the Gospel story of Jesus being found in the Temple at Jerusalem, with the story of Hannah presenting her son, Samuel, in the Temple at Shiloh. Since this is a story, it is fairly easy to read. (Note: dont worry about the names - pronounce them as written; an ephah is a measure, about 45 litres). The point that is made here is the same as in the Gospel: that the earthly family must acknowledge the heavenly Father - and that sometimes that Father calls some to his special service. Here we turn to general rules for the whole family to observe (indeed for the whole community to observe). Paul is almost pleading as he writes - this way of living, which he is so convinced by, is worth listening to. You may wish to adopt a similar tone - gathering the attention of the congregation, and almost persuading them of the benefits of life like this (without going over the top, of course.) Be aware again of the list that Paul gives, and insert suitable pauses to help the understanding of the listener. Be careful of the middle paragraph: it is less obvious than the other two, and you could lose the attention of the congregation: use the emphatic words (like richness, gratitude, inspired, never) to hold this passage with the rest - the direct appeal to the Christian community.A general rule we have mentioned before is that often in these readings you are directly addressing the congregation: notice that the very first word of the reading is You. This is a real you, talking to those sitting in front of you this Sunday morning. (Optional Year C) Second Reading: 1 John 3:1-2.21-24. 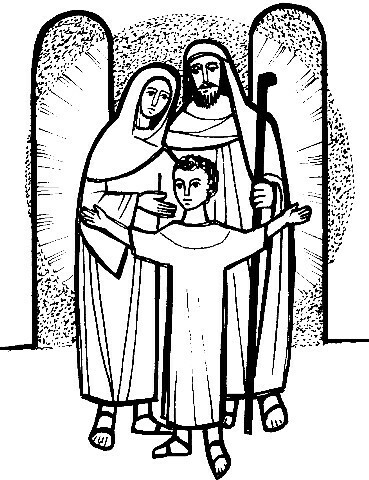 Here we think not about the physical holy family, but the spiritual holy family which is the Church. Just as Jesus and Samuel acknowledged their Father in His Temple, so we should acknowledge that we are Gods children, by living out the commandments - believing in the name of Jesus. This reading starts with an invitation to think - encourage the congregation to do so in your tone of voice throughout the whole reading. This reading promises a wonderful glory for Gods children - allow that to come out in your reading. Be confident when reading about the commandment, and end on a warm and comforting note when talking about the gift of the Spirit.